Travellers can choose several options to get to White Pearl Resorts, Ponta Mamoli. This popular Mozambique beach holiday destination is accessible and remote, all at the same time. Guests can take up the offer of an air transfer from Maputo International Airport by private charter to Ponta do Ouro. 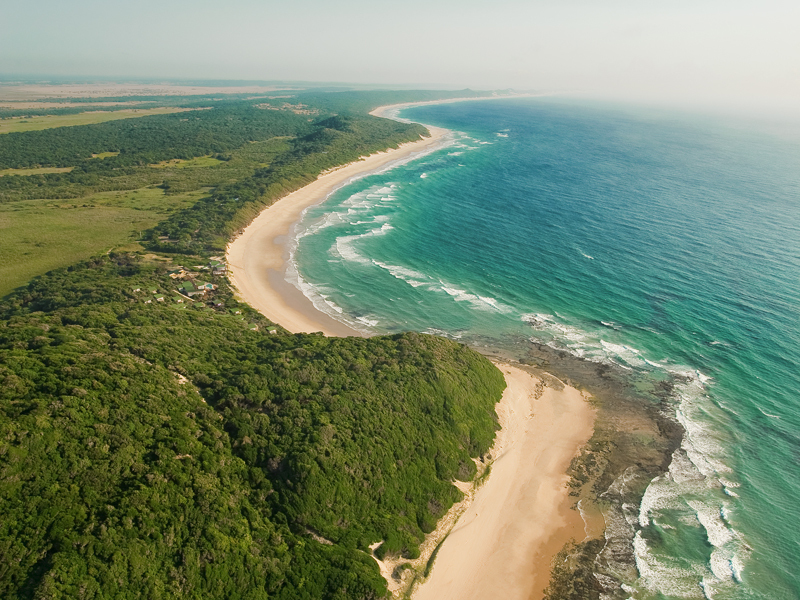 Fly over beautiful dune vegetation and stunning beaches, including the spectacular Maputo Elephant Reserve! A White Pearls Resort representative will meet guests at the airstrip and take them to the resort. The entire trip takes about 90 minutes. The other option is to self-drive from Kosi Bay border to White Pearl Resorts. A 4×4 vehicle is required and the trip takes about 60minutes. There is secure parking at Kosi Bay border at a cost. Alternatively, White Pearl Resorts will collect guests at the border and take them to the resort via road transfer.